Rihanna and Emily Ratajkowski are both fans of Marika Vera's designs, and this 'Niko' bodysuit is a style we can imagine either of them wearing. 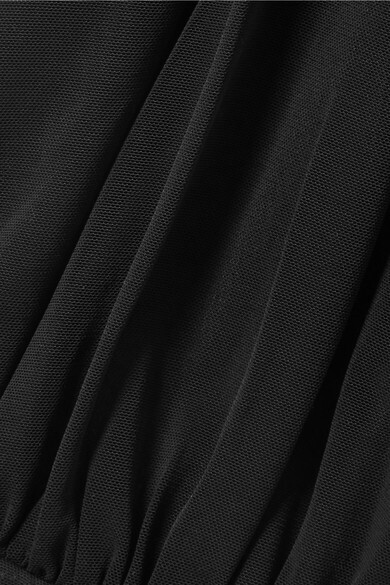 Made from black stretch-jersey, it's trimmed with mesh and has a thong base for a seamless look under close-fitting pants. The open back and plunging front call for discreet gel petals. 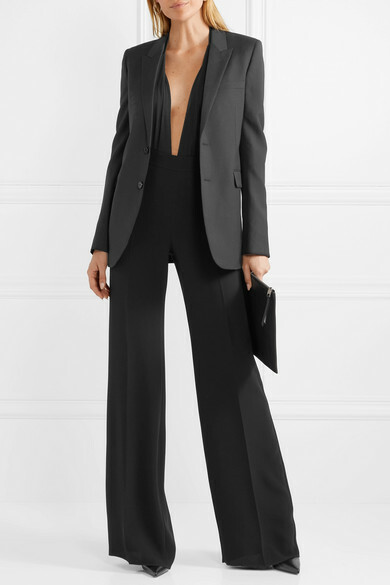 Shown here with: Saint Laurent Blazer, Max Mara Pants, Christian Louboutin Pumps.